Are your readers on a clear course toward conversion? Image by Marko Derkson via Flickr. Having awesome content isn’t the be-all and end-all of a successful content marketing strategy. If you’re not being deliberate about how you send your readers down your marketing funnel, you’re not going to see results. 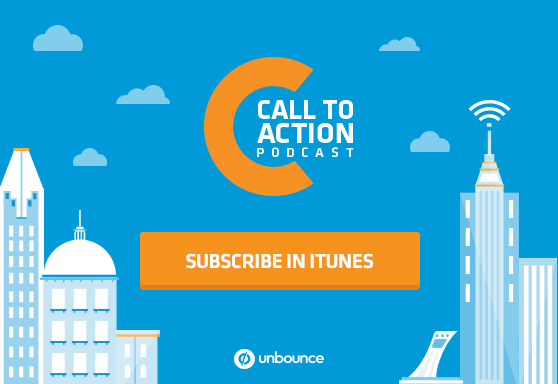 In this episode of the Call to Action podcast, co-founder Oli Gardner recalls how Unbounce used an ebook to generate leads before our product was even ready. Then, Unbounce’s content strategist Dan Levy and Michael Karp of Copytactics discuss tactical ways that you can put your content to work and gain qualified leads in the process. In this episode: Stephanie Saretsky chats with Oli Gardner, Unbounce’s co-founder. Then, Dan Levy, Unbounce’s Content Strategist, interviews Michael Karp, founder of Copytactics. Stephanie Saretsky: Let’s go back to the very beginning, shall we? Almost six years ago, six men got together and decided to start a business. That business would result in over 2 million landing pages being created. But first, it had to let marketers know that it existed, and that meant generating some leads. Oli Gardner: I’d never even heard of the term before. I mean, I became a marketer the day we started the company. Stephanie Saretsky: That’s Oli Gardner, cofounder of Unbounce. And the term he’s talking about is lead generation. The Unbounce blog launched months before the product was ready. And Oli’s early posts focused on educating marketers about what landing pages were and why they needed them. But in order to get people to fork over their e-mail addresses, he needed to put together something even bigger. Oli Gardner: Kind of a funny story. I decided I wanted to do an ebook for lead gen. And our CTO Carl said in passing to Rick, “What, is he really gonna waste two weeks writing an ebook? Surely there are more important things to be done, like building our website, blah, blah, blah.” I held a two-hour brainstorm, got a whole bunch of stickies on a wall. Then went and pulled an all-nighter, wrote the ebook, came back, slapped it on the desk (digitally) the next day. Kinda of an f you. Stephanie Saretsky: That f you came in the form of Unbounce’s first ebook, 101 Landing Page Optimization Tips. The ebook took off and generated around 1,200 leads for the fledgling company, which had the team pretty excited. Oli Gardner: It’s so exciting when you’re starting a company. I remember – same as when we started getting our first – we’d have four customers in a day, and we’d be like, “Ooh, this is so amazing!” We’d get leads. And then you look at them, and some of them are total spam. But then you get some real ones, and you get – the exciting part is when you get ones with an actual company name in them, so not Gmail. That’s kind of exciting. Stephanie Saretsky: That’s the power of great content. It’s not only beneficial – and dare I say delightful – for the audience you’re targeting, but when great content has a solid strategy behind it, it can turn your readers into eager leads that are pumped to try out your new product. But it’s not as easy today as it was back then. Oli Gardner: But really, I mean, there weren’t many inbound marketers at that time. There was HubSpot, Content Marketing Institute, MarketingProfs and things like that. But Unbounce was one of the early pioneers of content marketing, to be honest. It was much easier to be special, I think, then. Now there’s just a webinar every 15 seconds and too many ebooks. Stephanie Saretsky: You gotta redefine the ebook then. Stephanie Saretsky: I’m Stephanie Saretsky, and this is Call to Action, Unbounce’s podcast about doing marketing better. It doesn’t matter how awesome or delightful your content is; if you’re not being deliberate about how you send your readers down the funnel, you’re not going to see results. You need to have a clear plan that gets people from your awesome content to your leads list because people won’t randomly find their way there. This means we have to get a little bit more creative about how we generate leads. So we spoke to a guy that has a few tricks up his sleeve. Michael Karp: Michael Karp, and I work at Copytactics.com. Dan Levy: Your post is really refreshing to read as a content marketer because so much content about content dwells on that agonizing question of why businesses should be creating content and yours goes straight into the how. That said, I’m gonna ask you to take a step back for a second and explain why you think content’s primary objective should be lead generation. Michael Karp: I think that lead generation is definitely a top priority of content marketing. But – I’ll explain this in a little bit – I wouldn’t say that it is content marketing’s primary objective. Michael Karp: I think that content marketing’s primary objective is to gain exposure for your business. I’m sure you’ve heard that there’s this notion that buyers don’t really wanna be sold to anymore. They’re doing more research before making buying decisions and all that. So I would say that your goal with content marketing is to be the business that shows up when these prospects are doing their research. So you wanna get found. You wanna get found in Google. You wanna get found in all these distribution channels online. You wanna get found on social media. And that’s the primary objective of content marketing: to gain exposure and to get found. And then after that, you start worrying about how you’re gonna generate leads and optimize your website. Because if you don’t have that exposure and you don’t have people coming to you for this information, you won’t be able to generate leads with your content. Dan Levy: Right. So your content needs to be there in the right place at the right time when your prospects are looking for that information. Michael Karp: You don’t wanna make that mistake of thinking that if you just produce content, then they will come. I see a lot of businesses who – their blogs are kinda just crickets, you know? There’s not really much going on there. It’s because they have this false information that just blogging is going to bring people to you. But you actually need to promote your content and actively put in the work to get that readership and to get people coming to read your blog. And that’s when it becomes effective content marketing. Dan Levy: I guess lead generation is a really useful metric to determine whether or not your content marketing is performing – whether it’s ultimately generating leads. But in order to generate leads, you still need to bring in some traffic, as you said. Your traffic, though, in order to be effective, ultimately needs to be made up of potential customers. How do you make sure your traffic is qualified traffic? Michael Karp: Right, yeah, that’s extremely important. I always say that to get qualified traffic and to get the people coming to your website who are potential customers, you need to create content that solves the same types of problems that your products and services solve. So you don’t wanna go too far with your content to where people don’t need your products and services anymore. 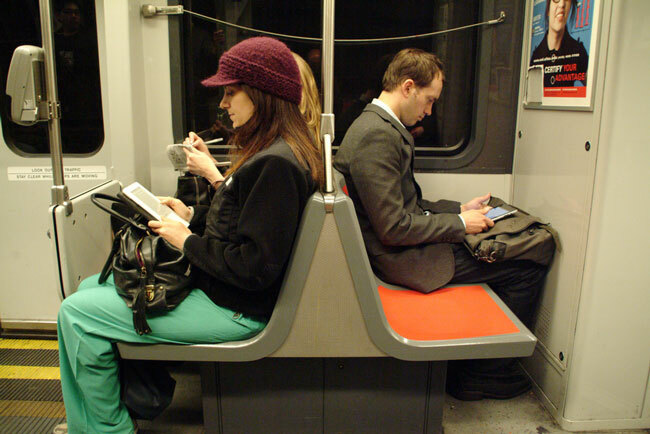 People read content and are attracted to content because it solves some sort of need and desire that they have. And if you match the needs and desires that attract people to your products and services with your content, you will naturally attract the people who need and desire your products and services. Dan Levy: Right. And in your post, you have a lot of different tactics for finding and bringing in that qualified traffic, including some really cool Twitter hacks. I wanna go straight to something else which I think is a bit less known but I hear people talk about it a lot, which is using online forums or groups or question and answer sites to target niche communities. How do you participate in those forums, though, in a way that doesn’t seem salesy or self-serving? Michael Karp: Yes, this is a big concern, not so much for solo bloggers like myself, but especially for bigger companies and agencies. It can really hurt their brand image to be too salesy or too self-serving. So what you wanna do, first off, make sure that what you’re promoting is not necessarily your products and services but your content. So make sure you’re promoting content, but make sure it is the most valuable content you can possibly create on that subject. So the issue arises when people are promoting, like, a 500-word article. Say you go on Quora. You answer someone’s question a little bit, give them some information, and then you provide your content as a natural place to get more information. So when people see that, they read, okay, like, this person knows what they’re talking about. Let me click over here and get some more information. If they’re disappointed when they get to your website, then they view you and your business as salesy and self-serving, like, you’re just trying to get your traffic stats up or you’re just trying to get people to your website; you’re not really trying to help people. But if they get to your website and they are blown away by the piece of content you created, they completely forget that you even promoted it. They start to thank you for showing it to them. So it really comes down to the type of content you’re creating and how valuable it is, but then, yeah, also how you’re promoting it. Dan Levy: – you don’t have that much to worry about. Can you share some tips for identifying those questions that your product or solution happens to have the answer to? Michael Karp: Yeah, yeah. So there’s this – it’s called the Five Whys method, and it’s for determining your customers’ pain points. You end up asking “why” five times. And you pretend like you’re talking to your ideal customer. And you start off with a very specific problem. So my problem is I’m not generating any leads. Why? Because my site isn’t ready to generate leads. Why? And you go through all of that. And that’s where you start to dig really deep into the issues that your potential customers are having. So that’s one method you can use. You can also go to places like these forums and Q&A sites and LinkedIn groups and literally just read through all of the discussions that these people are having and create a spreadsheet and jot down the ones that pop up over and over and over again. And these are the questions that you wanna answer. And then go back into these groups and communities and present your content as the answer to these questions. Dan Levy: So once you have that traffic, you’ve gotta convert those visitors into bona fide leads. One popular technique is through popup forms, which are exactly what they sound like: windows that pop up and ask people for their e-mail address. We’ve talked about using popups on the podcast before. And the question that always pops up is, “Yeah, we know those things convert, but at what cost?” So how do you test whether the increase in leads that you get from these things is worth a potential decrease in user experience? Michael Karp: That is definitely a major concern. What you have to do is look at your specific website, and you have to test this for yourself. So I would suggest running a split test or doing, like, 30 days with a popup, 30 days without a popup. And measure your change in user experience signals – so like your bounce rate, your time onsite, your pages visited – and measure the amount of leads you generate and how many of those leads converted into customers. And look at how having a popup form versus not having a popup form affected the business objectives that you’re going for. So I can’t really say – there are case studies that say, “Oh, you need it to do this. You, like, you need to have a popup form.” But in reality, it depends on your business; it depends on your market. If you look at, say, a marketing blog like mine or any of the other marketing blogs that are read by a lot of marketers, they’re used to seeing popup forms. And odds are you’re gonna reach those business objectives better with a popup form than without one. But if you look at more consumer niches, they’re used to more being spammed by popups and stuff like that. So in that case, odds are having a popup form will probably hurt your lead generation. But you can never say that definitively until you test it yourself. Dan Levy: Have you experienced any blowback from having popups on your site? Michael Karp: No, I haven’t. And not on my clients’ websites either. I have one client who is in more of a consumer niche. He’s in the commercial drone industry. And we’ve done a little test, and definitely having a popup is leading us to the objectives that we want. Dan Levy: It’s funny; I think a lot of us share these concerns as marketers. But at the same time, whenever I ask people whether they’ve received any negative feedback, no one’s said anything. So maybe it’s time for us to stop worrying and love the popup. Michael Karp: Yeah, it could be. And I even saw a case study from Dan Zarrella. He went on the very extreme end of having a popup show up every single time a visitor goes to any one of his pages. So no, like, “If a visitor comes once, it doesn’t show up for ten days.” It showed up every single time. And he didn’t see any major decreases in user experience at all. Dan Levy: – it’s – yeah, that’s interesting. Another technique for capturing traffic that you talk about is something you call content upgrades. I must admit I’d never heard of content upgrades before, at least I hadn’t heard them called that. So what are content upgrades, and why are they an effective way to generate leads? Michael Karp: So I discovered content upgrades from a case study on Brian Dean’s blog. And he got a 300 – I believe it was 385 percent increase in e-mail conversions from having just two of these content upgrades on his website. I don’t remember the length of the case study, but it was pretty convincing. And a content upgrade is – so if you think about your lead magnets on your website and your opt-in forms, they’re typically site-wide general lead magnets. So you have it, say, in a feature box on every page of your website or in the sidebar on every page of your website, or an opt-in form below the post that’s pretty general. With a content upgrade, you create a resource that is specific to one piece of content that will help people get the results that you’re teaching, make it easier for them, or make it faster or something like that. So it’ll be like a checklist that instead of reading through every word of your post again, they can just go through the checklist and do it faster. Or like I did for my first Unbounce article. I created a list of resources and links to the resources and what each resource was used for within the steps that I presented in the article. And so it’s very specific. I can’t use that content upgrade on anything else, so it’s specific to that piece of content. And the reason it’s so effective is because this lead magnet is hyper-targeted to the content that person is reading right now. The idea is they have a stronger need for that lead magnet at that point in time than the other lead magnets on your website. So it’s hyper-targeted. And then the way you deliver it is through a popup light box. So, you’ll basically have a link or a box within the actual content – so between paragraphs in your article – so they’re forced to scan over it. When they scan over it, it says something like, “Click here to download a free checklist of these steps.” They click on that. A popup form comes up, and they put their e-mail address. Then you’ve captured a lead. And then they get redirected to the free resource, and then they can go back and continue reading your content. So it’s hyper-targeted, it’s within the body of the content so they pretty much can’t ignore it. They can, yes, scan over it and not read it. But it’s much more likely that they will actually scan and read this opt-in rather than something on your sidebar or your feature box or below your post, where they’ve seen these opt-ins before and they’re used to it, so they’ll come to your website and sometimes they’ll ignore it. But if they’re reading your content, then it’s hard to ignore this opt-in. Dan Levy: And I mean, the key here is that it’s actually providing value to readers because it’s an extension of what they already came for, right? It’s not just a distraction. Michael Karp: Exactly, yeah. It definitely has to provide value. Otherwise, people won’t opt in. It needs to be something that’s really gonna help them. Dan Levy: In a way, it’s like the perfect compromise solution to that age-old problem of whether or not to gate a piece of content. It’s like, you keep it ungated to bring people in and benefit from that traffic, but you embed lead gen opportunities throughout the post. Michael Karp: Definitely. That’s a really good way of putting it. Dan Levy: Can you talk about how you’ve created your own content upgrades using dedicated landing pages? Michael Karp: Right. I actually need to upgrade my content upgrades on my blog. Dan Levy: You need a content upgrade upgrade is what you’re saying? Michael Karp: Exactly, yeah, a content upgrade upgrade. My content upgrades right now are just .pdf versions of the article. The benefit is just that you can read it offline; you can take it with you on your tablet and all that. But it’s not as good of a content upgrade as I could be making. But either way, no matter what type of content upgrade you have, one of the ways that I’ve delivered it is through a landing page. So if you don’t use a service like – for WordPress, there’s a plugin called SumoMe. Michael Karp: And within that, they have the leads app. And it’s a content upgrade delivery app, pretty much. If you don’t wanna use that, what I’ve done is you can literally just link to a landing page wherever you would put a content upgrade anyway. So you could just put it in brackets and say, “Download this article as a .pdf.” They click on it, they go to a new tab, and then it goes to your landing page, which is optimized for conversion. And then they put in their contact information and get delivered the content upgrade that way. Dan Levy: So landing pages are obviously our bread and butter here at Unbounce. But I think most people associate landing pages more with AdWords and performance marketing than content marketing. Can you talk a little bit about what a dedicated landing page could do for your content marketing, as opposed to just sending that traffic to your blog or your homepage? Michael Karp: Right. Definitely. Instead of, like, a sales funnel, I would think of it in terms of a content marketing funnel. So say you create a piece of content, and then you go out and drive traffic to it. You promote it, drive traffic. People come to your blog or they come to the article, they see the link to your content upgrade. They move from the article to the landing page, and then they convert. And that’s kind of the end of your content marketing funnel, and then you go into your sales funnel. I think the difference between sending them to your homepage, or just sending them to your blog in general, is that you’re gonna convert a lot more visitors with the landing page as a part of your funnel, rather than maybe they’ll opt in to your sidebar or your popup or something like that. If they go – if you include a landing page in your funnel, it doesn’t mean that all of those other opt-ins suddenly go away. It just means you have another highly optimized place for website visitors to opt in. And the more of these you have, the higher your conversion rates are gonna be. Dan Levy: So the last tactic you mention in your post is a bit more philosophical than the ones we’ve covered so far. You call it genuine content marketing. What does genuine content mean to you, and what does it have to do with generating leads? Michael Karp: Right. So this is something that came to me when I first started learning about content marketing. It just kind of clicked. And it’s a philosophy that I’m pushing myself with my blog and with my interactions with people. Genuine content marketing comes from having a genuine caring for the people that your business serves, so your potential customers, your actual customers, your clients and all that. And it’s a mindset and a notion that permeates all the content you create and how you promote it into the world and how you then interact with people that come to your blog and all that stuff. It’s just an idea that content is not just a marketing asset. It’s a way to improve the lives of the people that your business serves. It’s a way to improve lives; it’s a way to provide value, I would say. Dan Levy: Right. And the idea is that if you’re doing that, if you’re providing value, if you’re answering the right questions, then of course people are going to want to sign up for more. And that’s where the lead gen aspect comes in, I guess. Dan Levy: Cool. So let’s say I’m ready to create genuine content that brings in targeted traffic and turn it into qualified leads, kinda putting together everything that we’ve talked about so far. Where’s a good place to begin? Michael Karp: Right. I would say you wanna step back from the metrics and the stats and all that for a bit, and really get down to your mission as a business and what you truly want to do – the type of service you truly want to provide in the world and how you wanna help people. So I would go so far as to actually have a meeting. Sit down with people and brainstorm and map this out. No matter how big your company or business is, make sure everyone understands this vision, understands this mission. It’s something that I know Apple did very well and something that Steve Jobs was very good at: making sure that the mission is clear cut and understandable, and then letting that permeate through everything including your content. And then move on to all of the tactics and strategies that drive traffic and generate qualified leads and ultimately grow your business. Dan Levy: That’s really good advice, and I’d add, probably something that’s good to do again every once in awhile. We actually just did something really similar here at Unbounce, even though we’ve been creating content for five and a half years now. As your team grows and your product and your audience evolves, you wanna keep checking in and making sure that you’re starting with “why” and you’re all clear on what purpose your content serves in the first place and why it matters. Michael Karp: Exactly. You definitely never want to lose sight of that “why” and that purpose. Dan Levy: Great. Well, I think that’s a good note to end on. Thank you so much for taking the time to chat, Michael. It was a pleasure. Michael Karp: Yes, thank you very much for having me. Stephanie Saretsky: That was Michael Karp, founder of Copytactics. You can find his blog post in this episode’s show notes at Unbounce.com/podcast. So we’re six months into the production of Call to Action, and we’d really love to hear what you think. So if you have a sec, please drop us an e-mail at podcast@unbounce.com, and we’ll be sure to get back to you.